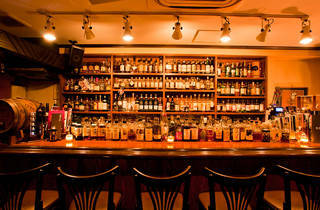 If it's Japanese whisky you want, Zoetrope is the place to head. 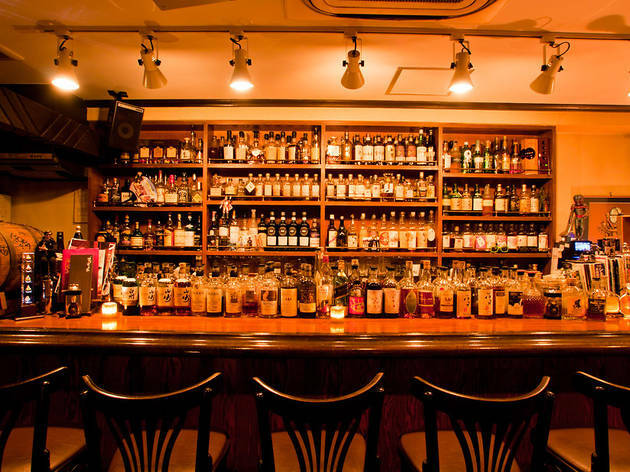 Tucked away on a back street in Nishi-Shinjuku, this intimate, dimly lit bar boasts a collection of bottles that's unrivalled anywhere else in the city: there are 300 varieties on offer, many of which are no longer even on the market. Whisky geeks will relish the chance to sample rare bottlings from the likes of Mercian and up-and-coming distillery Venture Whisky, while beginners can start with a sampler set of choice malts from big dogs Suntory and Nikka (or opt for some draft microbrew, courtesy of Osaka's Minoh Beer). Owner Atsushi Horigami isn't just a whisky fan – he's also a massive cinema geek, and recruited the late Takeo Kimura – a legendary art director in the world of Japanese film – to do the bar's décor. Horigami likes to screen films during the evening, meaning you can watch an old silent comedy or vintage animation while sipping your malt.